In many instances, a property is in need of a Huntsville retaining wall. While they can certainly look attractive, there is usually a purpose for adding this to your property. And in many cases, properties that need this type of structure procrastinate getting one in place. This can lead to serious consequences for the yard and potentially the foundation of the home, in some cases. These walls are structures put in place used to restrain soil unnatural slopes. They are used to bound soils between two different elevations. This approach is most commonly used in areas where the terrain is possessing undesirable slopes or where landscaping needs to be engineered for more useful purpose. In other words, many yards that would not otherwise be able to function as is are transformed with the use of a retaining wall. There are different types of Huntsville retaining walls which is part of what makes it important to work with a professional so that you get the right type of wall. 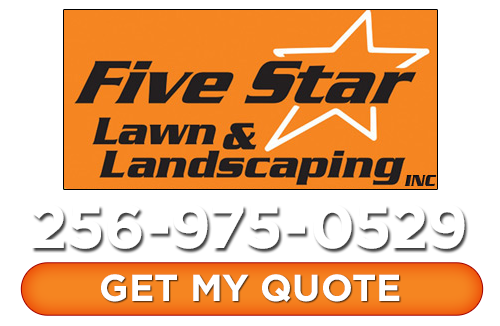 At Five Star Lawn and Landscaping, Inc. we have the knowledge, know-how and hands-on experience to get the job done. The main types of retaining walls are gravity, anchored, sheet piling, bored pile and cantilevered. We have been taking care of this type of service since 2008 and know what needs to be done to get your landscaping in the condition it needs to be. Part of this could very well be adding a wall to your property. If you know or suspect this is something you need for your property than give us a call. We will walk you through the process and discuss your options with you. From there our Huntsville landscapers will help you make any necessary decisions and then make you aware of the steps we are taking along the way. These walls add the perfect look to your yard if done just right. The idea is to make them look like a hardscape addition and not something strictly there for function. You may even be adding this just to have an elevated or multi-tier garden or flower bed. Whatever the case may be, the Five Star Lawn and Landscaping, Inc. can help you take care of that. 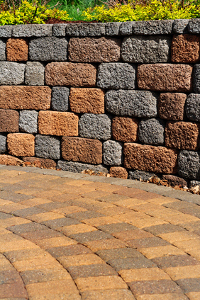 These strong and durable walls are ideal for accenting your landscaping, patio or even the area around your mailbox. Let us show you the work we have done before and what we could do for you. You are going to love the new look of your landscaping once we get done with your Huntsville retaining walls. Contact us today to find out more about what we could be doing for you and your yard. If you are looking for a Huntsville retaining wall contractor then please call 256-975-0529 or complete our online request form.